Many women who are avid athletes, including runners, may begin to get injuries that nag and can even stop them from doing the sports they love. 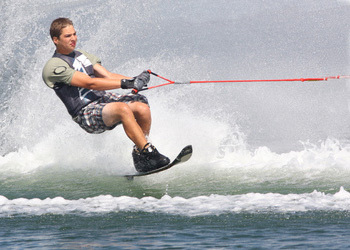 Sometimes these injuries include stress fractures of the foot or other parts of the body. 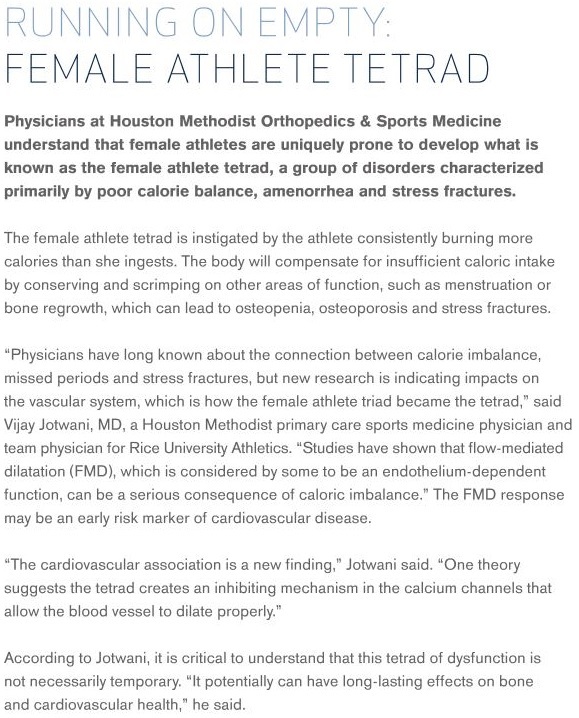 See the article below from the Houston Methodist Orthopedics and Sports Medicine 2014-2015 Year in Review journal which can help in understanding this debilitating and serious set of conditions. How can you get out of this injury cycle? You might need to increase the number of calories you ingest during the day. You should also take a Vitamin D supplement if you are not already. Ask Dr. Hoopes during your appointment if you have more questions. 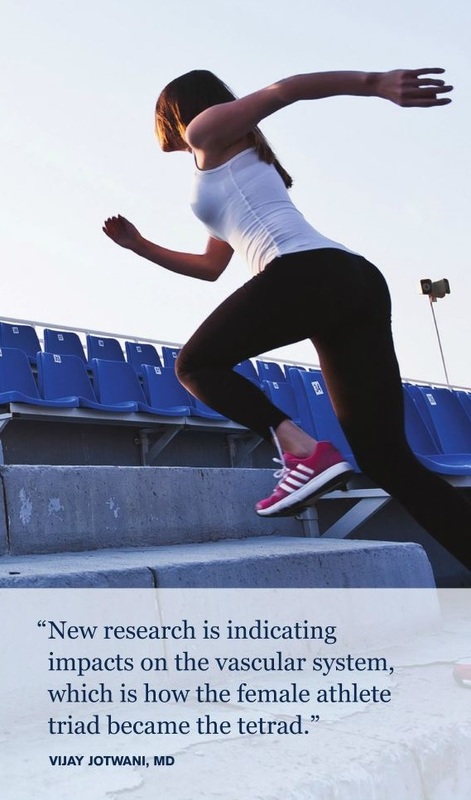 Back to Dr. Hoopes’ information on running injuries and how to fix them.